WASHINGTON (Reuters) – US Defense Secretary Jim Mattis said on Wednesday that peace talks between Yemen’s warring parties were likely to take place in early December in Sweden. 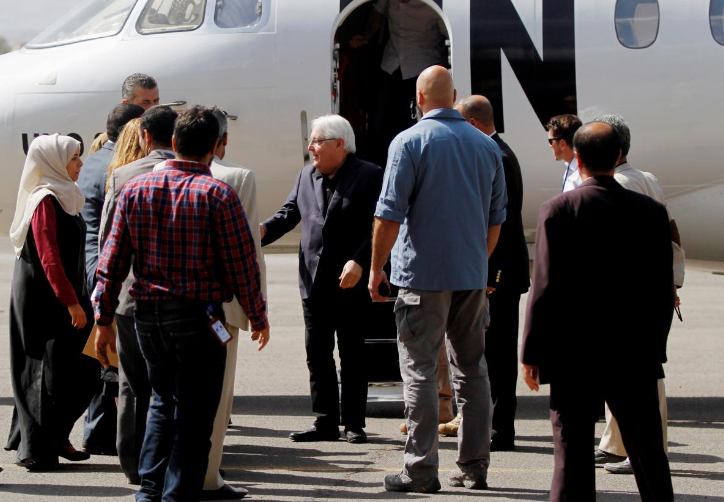 UN Yemen envoy Martin Griffiths told the Security Council on Friday that Yemen’s parties had given “firm assurances” they were committed to attending peace talks he hopes to convene in Sweden before the end of the year. “It looks like very, very early in December, up in Sweden we’ll see both the Houthi rebel side and the UN-recognized government,” Mattis told reporters. Griffiths was in Yemen’s capital, Sanaa, on Wednesday and was to visit Hodeidah on Thursday, UN spokesman Stephane Dujarric said. Hodeidah port handles 80 percent of the country’s food imports and aid supplies. “He seeks to finalize the arrangements in the lead-up to the talks in Sweden and to revisit a UN supervisory role for the port and to draw attention to the continued need for a pause in the fighting,” Dujarric said. UN food chief David Beasley visited Hodeidah last week and told reporters in New York on Friday the United Nations was “prepared, if necessary, if all parties desire” to take over the operational capacity of the port. Reporting by Idrees Ali; Additional reporting by Michelle Nichols at the United Nations; Editing by Tom Brown and Peter Cooney.